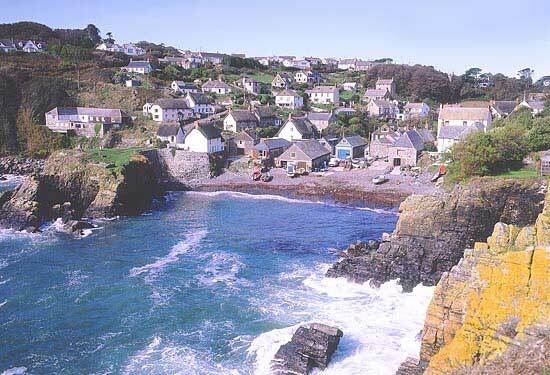 Nigel lives in the Lizard village at the southern tip of Cornwall. He is a member of the crab fleet based in Cadgwith that fishes off the rugged coastline, protected by Cadgwith's natural cove. 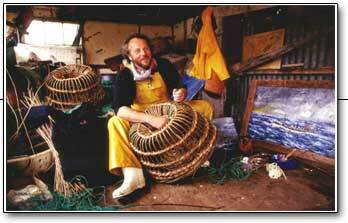 Nigel hauls his catch of lobsters and crabs from lobster pots, many of which he has hand crafted from willow. 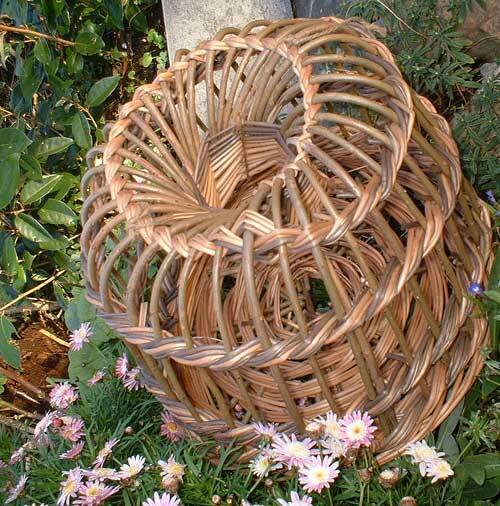 At the age of 16 Nigel was fishing with his father from Cadgwith, and would spend the winters helping him make willow (or withy as they called them) lobster pots ready for the next season at Easter. When plastic and steel pots became popular the withy pots gradually died out and became something of the past. However, about twenty years ago, Nigel decided once again to make a withy pot and as so many people were interested, decided to make more! 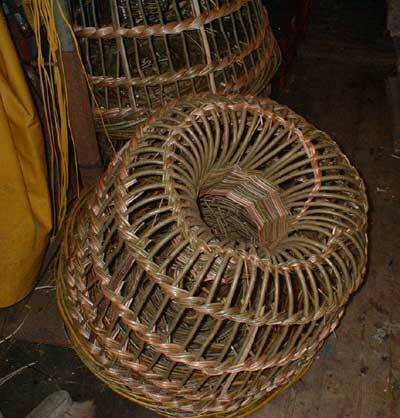 Now he is kept busy in the Winter making small and large pots, and selling them to TV and Film companies, shops and the general public, for props and interior and exterior decoration. Click the thumbnails for a closer view! 'there is nothing better than catching a lobster in a withy pot'. Although most of the withies (willow) are now bought from Somerset, Nigel still goes and cuts a certain amount during the Winter from old local withy beds that his father used to use. Inspired by the ocean, another of Nigel's talents can be found in his paintings of traditional fishing boats set against the changing mood of the sea. Click here to visit the gallery.